Multi-functional fruit and vegetable circular slicer, simple operation, slicing not only beautiful, but also tidy and not scattered, easy to clean. Tomatoes, lemon, oranges, potatoes and so on can be sliced easily. 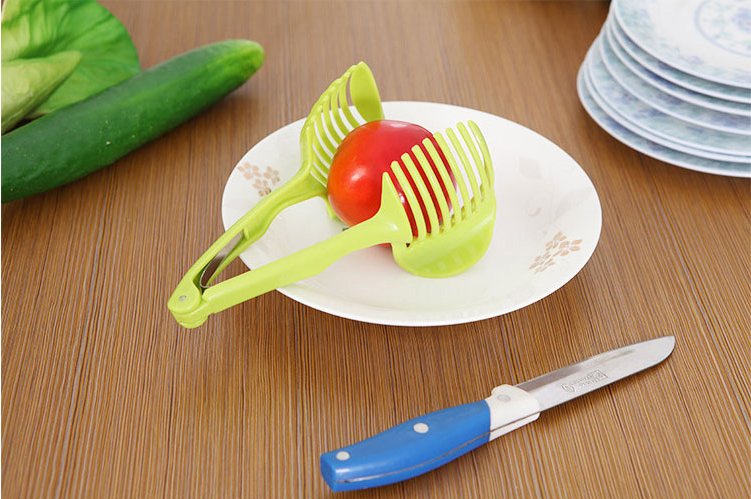 Easy to cut potatoes, tomatoes and other round vegetables and fruits into uniform slices. Imprint Size: 0.4" x 0.4"
Package: 1 pcs/poly bag, 160 pcs/ctn, 25 lbs/ctn.